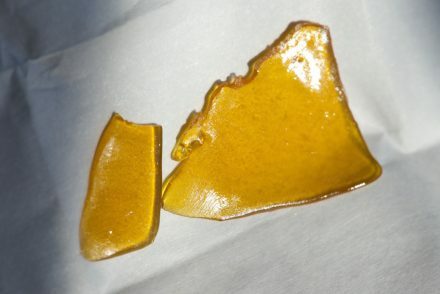 The Zkittlez rosin is a caramel dream in both appearance and texture. 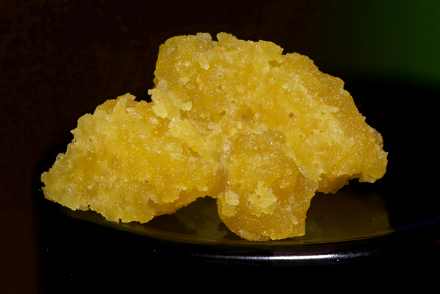 The soft, creamy budder – most likely whipped – is a pleasure to stir around the container and easy to dab up. It’s a beautiful light caramel color, the surface shimmering like wet paint when hit with light. Looking at macro photos shows a few small specks of debris in the rosin, but overall it’s nice and clean. While I was expecting the rosin to smell like Zkilltez trademark sweet, fruity explosion, the smell is more reminiscent of spicy hash with florally undertones. 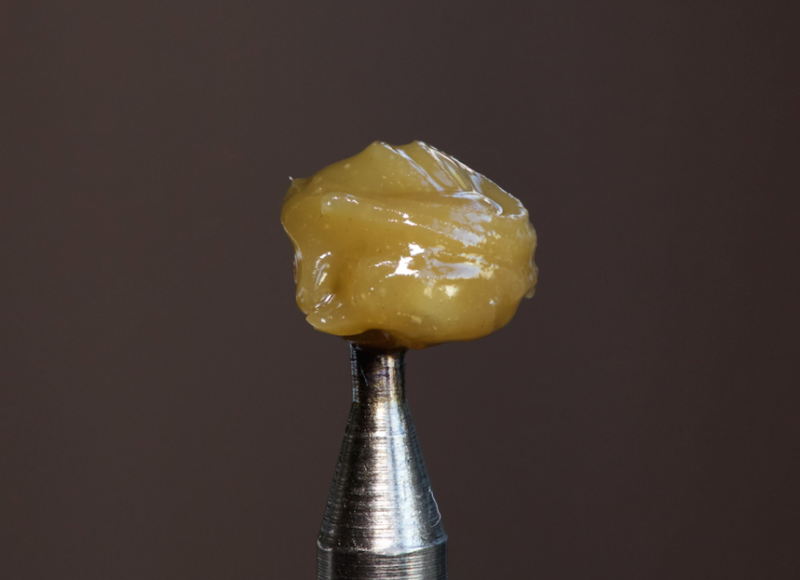 I had visions and hopes that dabs of the Zkittlez hash rosin would leave my mouth filled with sweet fruity terps, like I had just shoved a full bag of Skittles in my mouth. 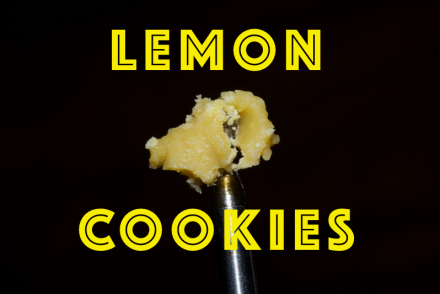 But alas, the taste mirrored the smell with hashy, florally flavors on the exhale. While the flavor falls short of my hopes, the overall smoke is smooth and my throat and lungs. I’ve been searching long and hard for a real batch of Zkittlez that coats my mouth with sweet fruity terps. I had high hopes for this rosin after seeing some mouthwatering photos on Instagram, but in the end the flavor didn’t come through on an otherwise smooth and nice rosin.